Due to the festive holiday season this December favourites post is a little bit late, but I hope it’s worth it as I’ve collected so many awesome links over the month. There seemed to be so many interesting things to read! December was pretty great for me. I hope it was for you too, and I hope everyone had an excellent holiday season and New Year’s. 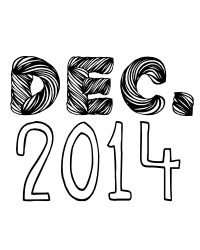 It’s 2015 now but why not take a trip back in time to some great posts from December 2014. If you’re in the mood for a beautiful short film about adventuring the solar system, check out this short film featured on the excellent design blog Moss & Fog. Really beautiful space visuals with narration by Carl Sagan, absolutely lovely. It also goes without saying that at the end of a year, everyone likes to write lists. Over at Popcorn Nights, Stu has compiled a list of the top ten blog lists of 2014, and the winner couldn’t be better. Stu also wrote a pretty amazing review of Twin Peaks: Fire Walk With Me (1992), a film which many people hate but I really love. Do you like French New Wave films? I always have, but my knowledge of them could always be better. Paul of Infinite Crescendo has made a list of his ten favourite French New Wave movies, which consists of so many good films I don’t know what to do with myself. My watchlist continues to expand exponentially! 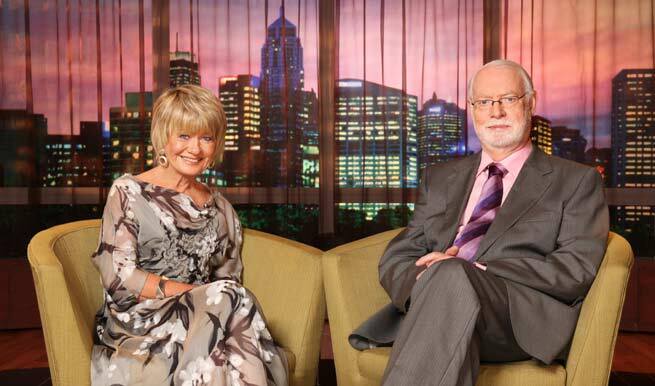 December 2014 was also a sad month for many film loving Australians as our two favourite movie people, Margaret Pomeranz and David Stratton, ended their iconic film review television program At The Movies. I loved watching their reviews and funny banter and strangely almost romantic relationship with one another. Jordan and Eddie of Jordan and Eddie (The Movie Guys) wrote a lovely post honouring their work, their huge importance to the Australian film scene, and the ways in which we’ll miss them. Sati of Cinematic Corner has done it again with another great post on Gone Girl (2014) – this time a post about the 105 reasons why she loves the film that no one else talks about. Here’s part one, and (slightly cheating since this one was posted in January) part two. So great. I love that Sati doesn’t do any half jobs – both posts are as wonderfully detailed as one another. Furthermore, Sati posted a great analysis of the upcoming Golden Globes. I secretly don’t mind Timothy Dalton as James Bond, and I really enjoyed Ruth of Flixchatter‘s entry to MovieRob‘s 007 December Blogathon, detailing the ten reasons why Licence To Kill (1989) is one of her favourite Bond films. It’s nice to see some attention being paid to one of the James Bonds that lots of people tend to forget about. 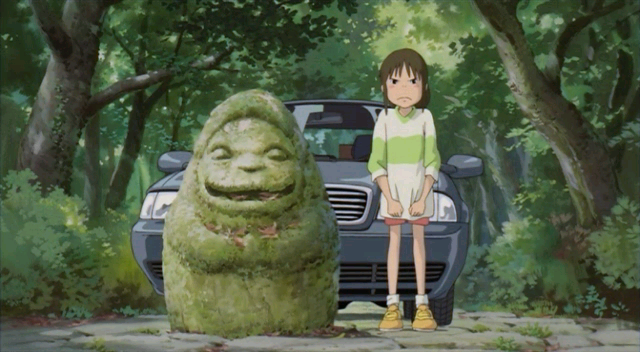 Over at Screen Muse, Cat’s post comparing and contrasting the spirit worlds of Hayao Miyazaki’s Spirited Away (2001) and My Neighbour Totoro (1988) is truly amazing. I love both films, so apart from loving reading about them in general, this was just a really interesting and insightful write-up. Definitely worth a read. There’s nothing better than giving children the gift of knowledge for presents, and I love Alina of Literary Vittles‘ idea of giving kids a childrens’ book starter collection as a gift. Alina has highlighted a number of lovely childrens’ books in her post, and I loved the inclusion of Oliver Jeffers, who is one of my favourite childrens’ authors. I also really loved Alina’s Wellington Christmas post which contains a picture of a very droolworthy chocolate pie. Another great list post that I loved this month was Alex of And So It Begins Films‘ list of 43 things that he loves about P. T. Anderson’s Punch Drunk Love (2002). I love that film, and there’s so much to love about it, from the genius choices around cinematography and sound, to the surprisingly awesome performance by Adam Sandler. And that’s it for another month! Hope you loved these links and articles as much as I did. Was there anything in particular that you enjoyed this month? Leave me a link below! Hi Anna, thanks very much for the links and the kind words, much appreciated! Anytime Stu, love your blog! Happy new year Ruth! I actually wish Dalton had done more Bond films, I like him way better than Brosnan. Thank you so much for the links, you are always so kind! You’re welcome Sati, love your stuff! You’re a fun read everytime, Anna. Have a great New Year! Thanks so much Bonnie, happy new year! Awesome post! I’ll have fun going through these links. Happy New Year! Thanks, and you’re welcome! 🙂 Loved your Miyazaki post! 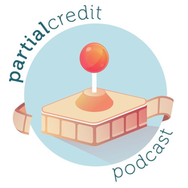 Great links as always! I really need to see Punch Drunk Love, can’t believe I have never see that one. Thanks Melissa! That film is so great, definitely see it soon! It’s a totally different kind of Adam Sandler than what you would expect. Any time! 🙂 Hope you enjoy, that post makes me want to watch all the Ghibli classics again.